Vanilla Fudge was one of the few American links between psychedelia and what soon became heavy metal. While the band did record original material, they were best-known for their loud, heavy, slowed-down arrangements of contemporary pop songs, blowing them up to epic proportions and bathing them in a trippy, distorted haze. Originally, Vanilla Fudge was a blue-eyed soul cover band called the Electric Pigeons, who formed in Long Island, New York, in 1965. Organist Mark Stein, bassist Tim Bogert, and drummer Joey Brennan soon shortened their name to the Pigeons and added guitarist Vince Martell. They built a following by gigging extensively up and down the East Coast, and earned extra money by providing freelance in-concert backing for girl groups. 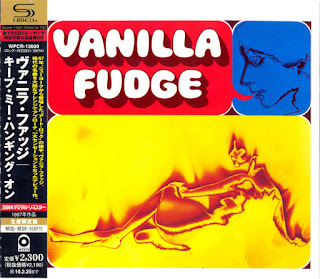 In early 1966, the group recorded a set of eight demos that were released several years later as While the Whole World Was Eating Vanilla Fudge, credited to Mark Stein & the Pigeons. Inspired by the Vagrants, another band on the club circuit led by future Mountain guitarist Leslie West, the Pigeons began to put more effort into reimagining the arrangements of their cover songs. They got so elaborate that by the end of the year, drummer Brennan was replaced by the more technically skilled Carmine Appice. In early 1967, their manager convinced producer George "Shadow" Morton (who'd handled the girl group the Shangri-Las and had since moved into protest folk) to catch their live act. Impressed by their heavy, hard-rocking recasting of the Supremes' "You Keep Me Hangin' On," Morton offered to record the song as a single; the results landed the group a deal with the Atlantic subsidiary Atco, which requested a name change. 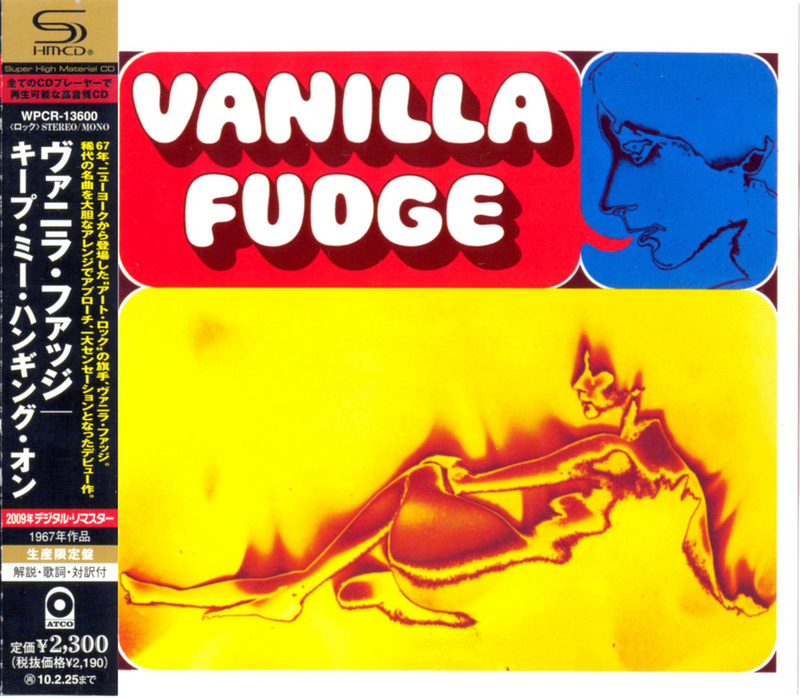 The band settled on Vanilla Fudge, after a favorite ice cream flavor. "You Keep Me Hangin' On" didn't perform as well as hoped, but the band toured extensively behind its covers-heavy, jam-oriented debut album Vanilla Fudge, which gradually expanded their fan base. Things started to pick up for the band in 1968: early in the year, they headlined the Fillmore West with the Steve Miller Band, performed "You Keep Me Hangin' On" on The Ed Sullivan Show, and released their second album, The Beat Goes On. Despite its somewhat arty, indulgent qualities, the LP was a hit, climbing into the Top 20. That summer, Atco reissued "You Keep Me Hangin' On," and the second time around it climbed into the Top Ten. It was followed by Renaissance, one of Vanilla Fudge's best albums, which also hit the Top 20. The band supported it by touring with Jimi Hendrix, opening several dates on Cream's farewell tour, and late in the year touring again with the fledgling Led Zeppelin as their opening act. 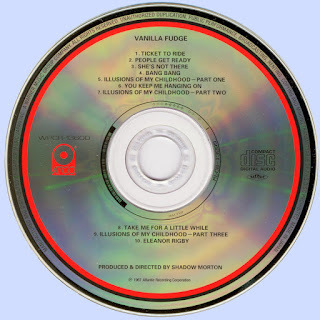 In a debut consisting of covers, nobody could accuse Vanilla Fudge of bad taste in their repertoire; with stoned-out, slowed-down versions of such then-recent classics as "Ticket to Ride," "Eleanor Rigby," and "People Get Ready," they were setting the bar rather high for themselves. Even the one suspect choice -- Sonny Bono's "Bang Bang" -- turns out to be rivaled only by Mott the Hoople's version of "Laugh at Me" in putting Bono's songwriting in the kindest possible light. Most of the tracks here share a common structure of a disjointed warm-up jam, a Hammond-heavy dirge of harmonized vocals at the center, and a final flat-out jam. Still, some succeed better than others: "You Keep Me Hanging On" has a wonderfully hammered-out drum part, and "She's Not There" boasts some truly groovy organ jams. While the pattern can sound repetitive today, each song still works as a time capsule of American psychedelia.